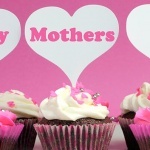 From kits and tips to the best toppings we can find, we’ve got everything you need to make your favourite day of the year one to remember! 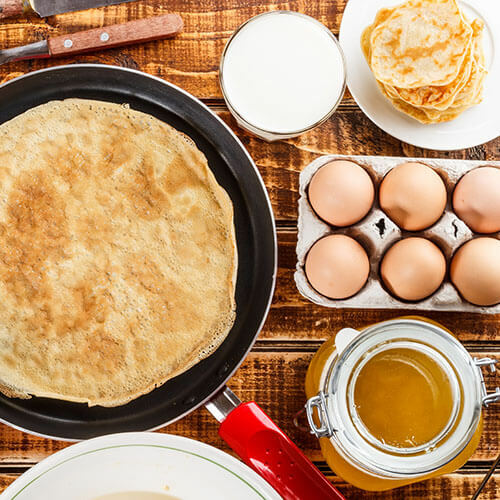 If you don’t want to be scrapping pancake batter from the pan (or worse your ceiling) then follow these handy tips to get yourself the perfect pancake. 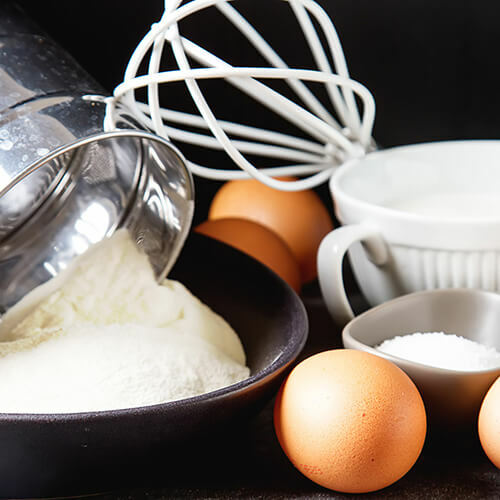 Resist the urge to mix until all the batter lumps are gone. Mixing just until the ingredients are combined and no wisps of flour can be seen, ensures a light and fluffy pancake! Butter is extremely easy to burn, especially when your pan is on medium heat for a long period of time. Use sunflower or vegetable oil and make sure you wipe the pan after every 2 batches. High heat can mean your pancake will burn or cook unevenly. Keep the heat on a medium level for a well-cooked pancake with a golden brown outside and a soft and fluffy inside. We don’t want to spoil your fun, but pancakes should only be flipped once. We know, disappointing! Wait till the bubbles on the pancake surface start to burst then ease your pancake turner underneath and quickly flip! Make sure it lands lying flat against the base with no folds and repeat the cooking process on the other side. Now for the fun part! 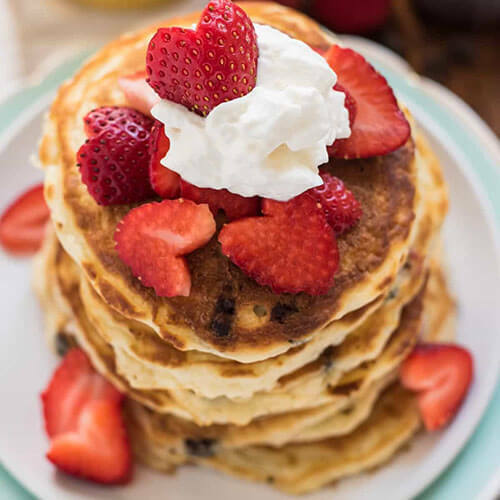 We’ve searched far and wide (on the internet) to bring you some of our favourite pancake toppings we know you’ll love. Why not start your day with a breakfast that will be envied by many! 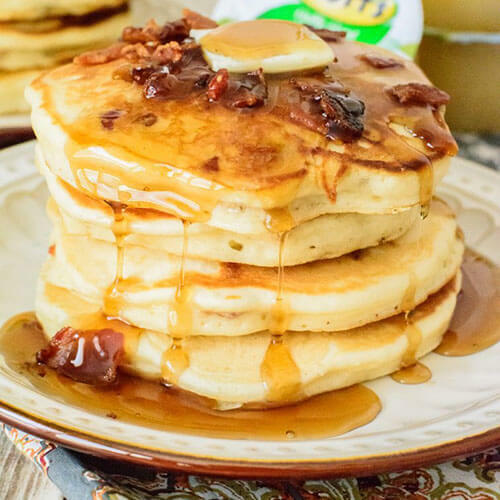 Bacon, Maple Syrup and pancakes, do we need to say anymore? 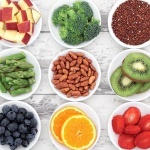 If you’re still on a health kick, you don’t need to miss out! 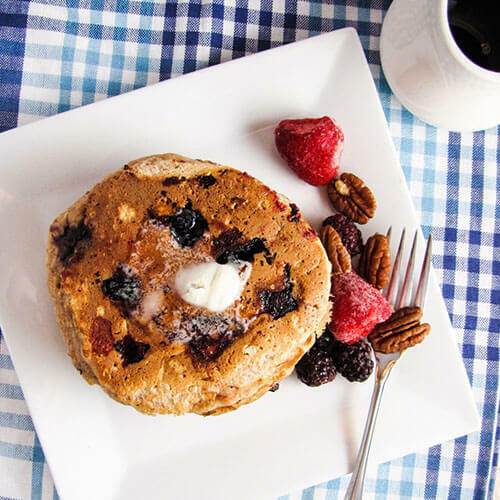 Try these delicious whole wheat fruit and nut pancakes from ‘katie at the kitchen door.’ Packed with berries, bananas and crushed pecans, you can enjoy your favourite treat without feeling guilty! 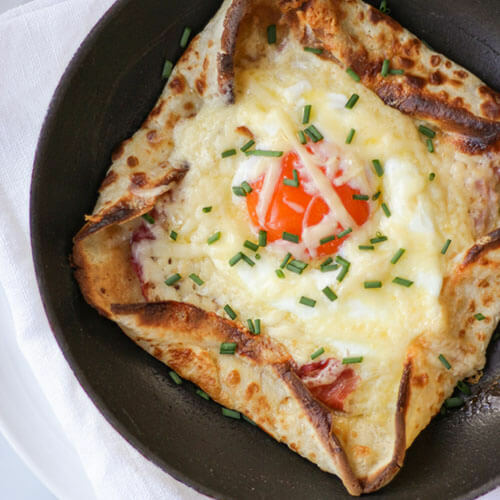 If savoury is more your thing, then these ham, cheese and egg pancakes are perfect for breakfast, lunch or dinner – or all three if you really want to get into the spirit! 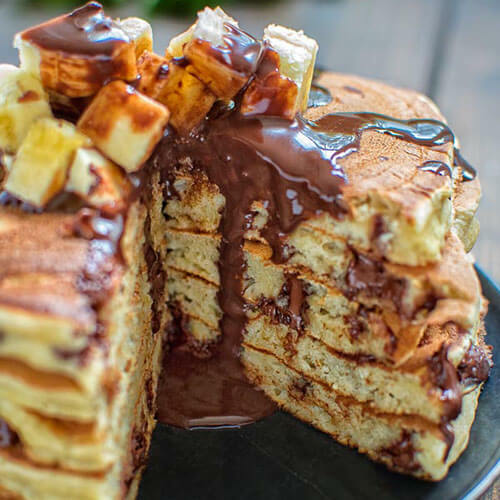 The richness of dark chocolate with the sweetness of banana is the ideal combination for your pancakes! For the serious chocolate lovers, there are even chocolate chips on the inside, how long is it until pancake day again? Now we know apple and cinnamon go so well on a pancake, there will be no stopping us! 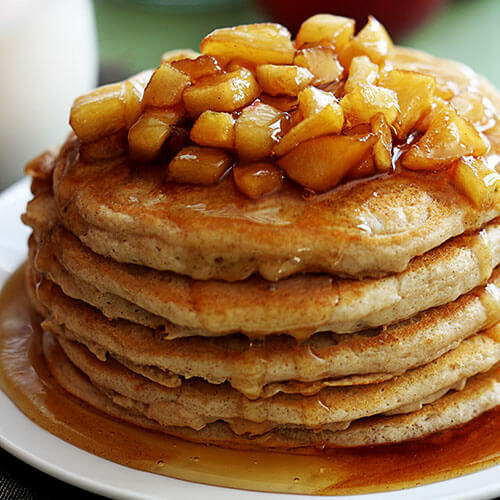 These light and fluffy pancakes topped with sweet apple are the perfect winter warmer to get you set up for the day! Now you have everything you need there’s only one thing left to do…sit back and enjoy your professionally made pancakes! 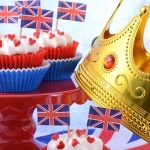 Let us know how you got on and show us your pancake masterpieces (and fails) and have a happy Pancake Day!